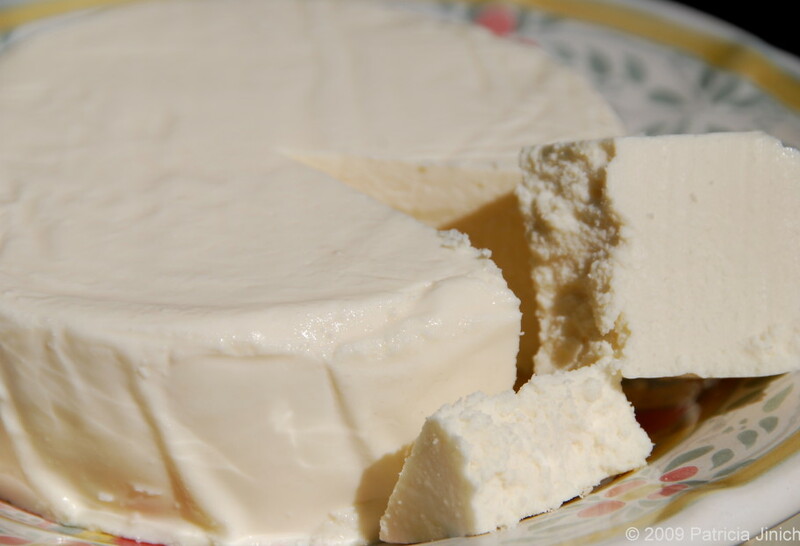 Queso Fresco, which translates to Fresh Cheese, can be found throughout Mexico with slightly different variations. It is also called Queso de Pueblo, Queso de Rancho and sometimes just Queso Blanco. In some small towns it may be found sold wrapped in banana leaves and if you are lucky, in the small baskets where they are sometimes made. It generally comes in rounds. Though it appears to be firm and can hold its shape nicely when cut into sticks or squares, it is very soft and crumbles easily. It is used in many ways, such as a side to guacamole and salsas, crumbled on top of hundreds of antojos like tacos, tostadas, enchiladas, refried beans and even soups. I also love it diced or crumbled in salads. Possibilities are endless. It is mild, slightly salty, very fresh and a bit tangy. If you can’t find it -though these days it is readily available abroad, not only in Latin stores but also in places like Costco- you can substitute it with a farmers’ cheese or a mild young feta. One of the wonderful things about Queso Fresco, is that even if you cut it in sticks or squares, once in your mouth, it deliciously crumbles…. Hola Pati! I am so confused about the difference between queso fresco and cotija cheese. I found both in my supermarket so bought both but now had no idea what I can use the cotija cheese for! Help!!! Hi Kristen! Si, this happens sometimes in the US. Hopefully it’s only a matter of time before they are labeled more specifically. =) The way you can tell is that queso fresco is very very crumbly and panela is not. I love that you reply with helpful information. Muchas gracias! My husband loves cheese enchildas with salsa verde. What types of cheeses do you recommend be rolled in the corn tortillas? I am in Northwestern VT and have difficulty finding ingredients in my local market. Specifically queso fresco. Since I have access to unpasteurized milk from a local farm could I make my own using that and perhaps lime juice to form the curds. Like making homemade ricotta? Would it crumble like queso fresco? Hola Kimberly, Thank you for your message! It sounds like you are thinking of queso fresco. You may have had an unpasteurized queso fresco in Mexico which is hard to find in the US. I get mine in my local Latin market. If you find it, it will keep for about a week after opening in the refrigerator. You may try freezing in a tightly sealed zip lock bag or container. Allow a few hours to thaw in the fridge before using. Hola Diane, About making the bean and cheese breakfast tacos, I would use a cheese that is mild and melts easily that won’t overpower the beans like a Monterey Jack, Oaxaca or Mozzarella. Yes, I use cheddar cheese depending on the dish. If you have anymore questions, just let me know! soy nueva por estos lugares, podrias decirme donde puedo comprar estos quesos de mexico en washington o en virginia?? ?